Last week I posted about our fun trip to OC Maryland. I wanted to share more with you about our restaurant experience. 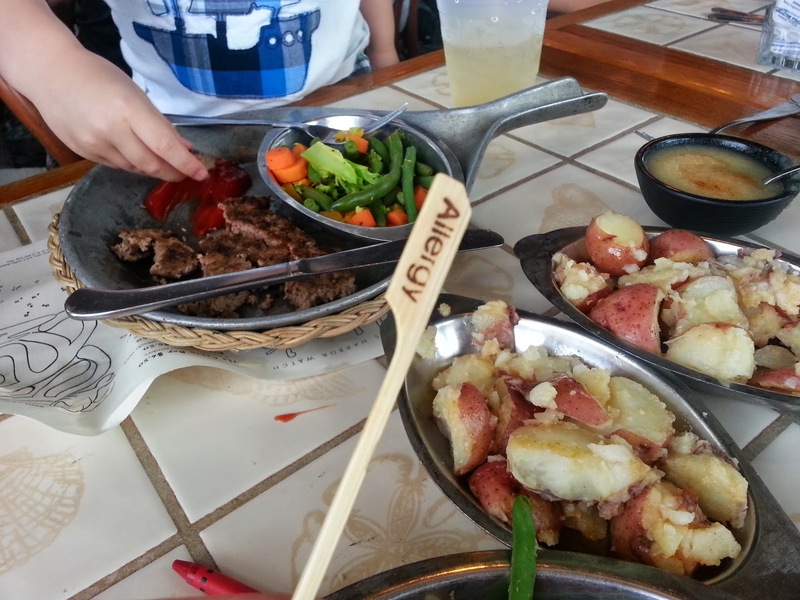 Since we rented a beach house with our extended family, we ate in most nights which made it easier from a food allergy perspective. The one night we went out to eat, we had a positive experience at Harrison's Harbor Watch restaurant. This wasn't our first time there. We had a positive experience there last year too. Harrison's offers beautiful views of the inlet, Assateague island (where the wild ponies roam) and ships coming in and going out to sea. They also have been great with food allergies. After we handed the waiter our food allergy card, the manager came over to us with a kids' menu she updated to include all the options for little guy to eat. We've NEVER had that kind of service before. It was such a nice treat to see all the possible options. Don't ya just love that allergy stick? It's the same one that I took a photo of last year during a beach trip! The only thing I would have changed? The fact that the sides came out all together on a big tray with no allergy stick in them (only the burger had them on). It made me feel less confident that the sides were safe for Little Guy, so I made sure to ask the waiter about them. Little Guy ended up only eating the burger a few veggies, plus some Surf Sweets gummy worms on the boardwalk that I brought along (in a BIG bag of treats that I made sure to have for him!). 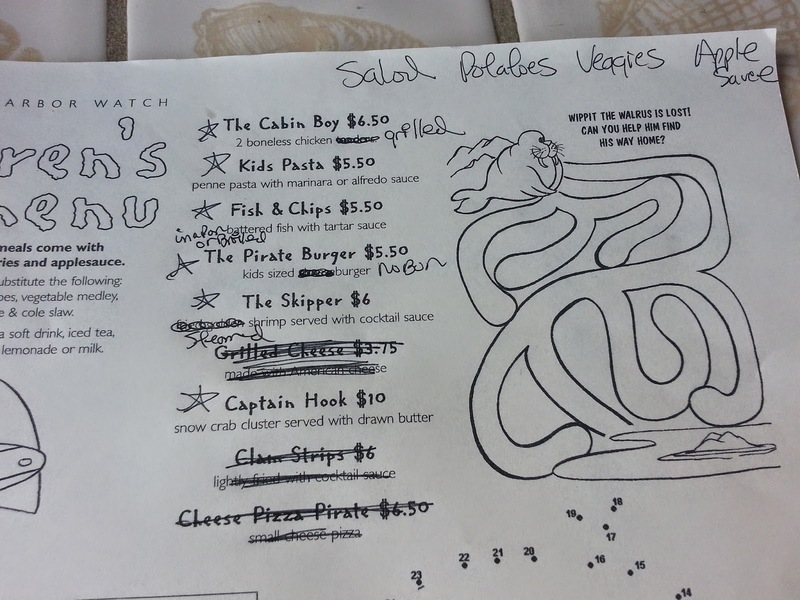 Did a restaurant ever update a menu specifically for you or your child? I know many restaurants like Red Robin have books ready-made for customers to reference. But I thought this was great customer service! Glad to have you again! Thanks from the management team at Harrrison's Harbor Watch.